Ready to get on the road! I was off to Albuquerque, NM early this morning just as the sun was rising for a six hour trip from Safford, in Southeastern Arizona, just 100 miles from the New Mexican border. It took just three lonely stop signs through the back country roads to get to Socorro, NM and the freeway, just an hour south of this oasis on the Rio Grande River. Packed to the brim with the Cotton Clouds’ booth! 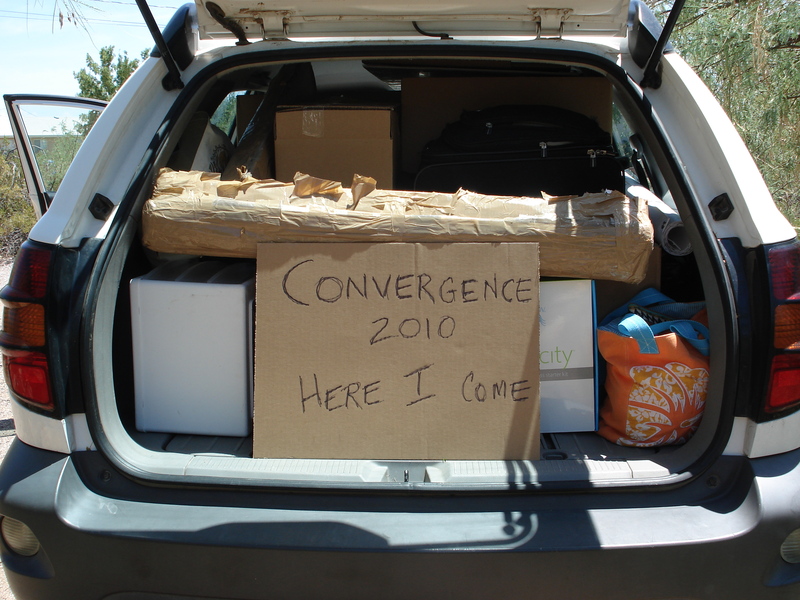 Was going to take the Prius but last minute glitches (the hatchback electronic lock didn’t close) put the entire Convergence 2010 booth into the Pontiac Vibe. From previous blogs you’ll know that we are featuring the Color Horoscope Weaving Kits designed by Bonnie Tarses. You can instantly weave this stunning Bambu 12 oversized scarf. No waiting to get your own personalized color horoscope warp color sequence. 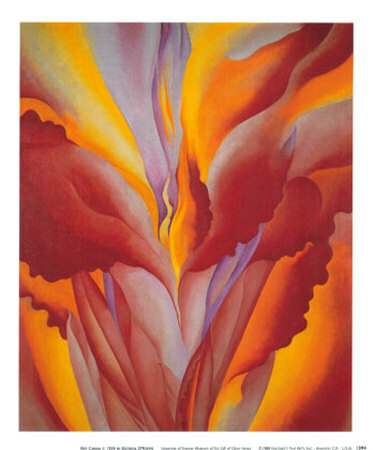 We’ve included the warp color sequence based on Georgia O’Keeffe’s November 18, 1887 birthdate. You’ll be surprised how vibrant her horoscope weaves up; so much like her vibrant, inspiring paintings. 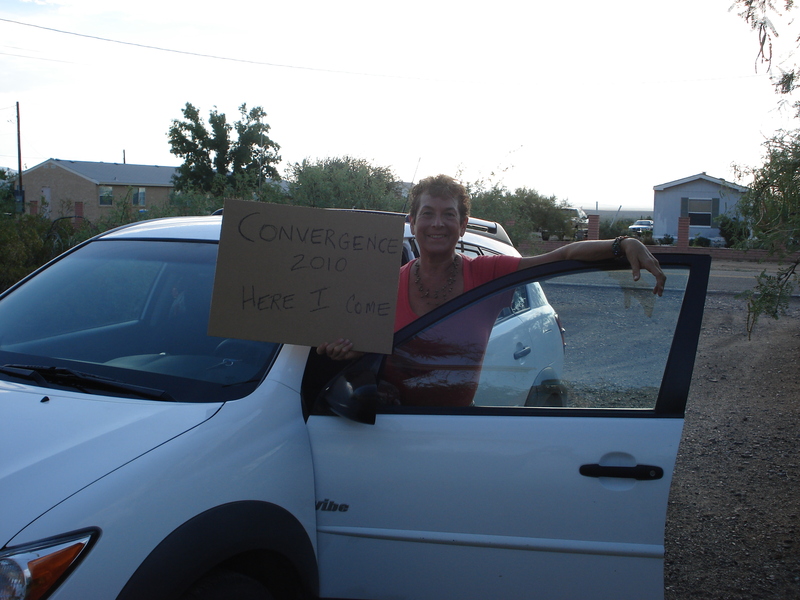 More about Albuquerque and Convergence to come all week long! Check back daily! Its going to be fun! It’sll going to happen at the Albuquerqe Convention Center July 22-25, 2010! AND IT’S GOING TO BE HOT! Visit us online at Cotton Clouds. Next Post Convergence 2010: Opening Day!